Businesswoman Pansy Ho Chiu King (pictured in a file photo) and the Henry Fok Foundation announced on Wednesday an agreement to ensure a common position regarding the future of Macau-based casino operator SJM Holdings Ltd and the latter’s controlling shareholder Sociedade de Turismo e Diversões de Macau SA, also known as STDM. The alliance was announced in a filing on Wednesday by Hong Kong-listed shipping and property conglomerate Shun Tak Holdings Ltd, a company controlled by Ms Pansy Ho. She is a daughter of casino tycoon Stanley Ho Hung Sun, the founder of both Hong Kong-listed SJM Holdings and privately-owned STDM. Together Ms Pansy Ho and the Henry Fok Foundation control approximately 53.012 percent of STDM’s issued shares, according to Shun Tak’s filing detailing the deal. The foundation owns a 26.576 percent stake in STDM; Shun Tak controls 15.781 percent; and interests associated to Ms Pansy Ho the remainder. STDM controls 54.11 percent of SJM Holdings, according to the latter’s 2018 interim annual report. Ms Pansy Ho is also co-chairperson of, and a significant shareholder in, Macau casino operator MGM China Holdings Ltd. It is unclear from Shun Tak’s announcement if the alliance aims to introduce a management reshuffle to STDM and SJM Holdings. The agreement mentioned a deal to submit a common proposal for the election of the board of the SJM Holdings subsidiary that directly owns the group’s Macau casino gaming licence. Shun Tak’s filing did not identify the candidates to be put forward by the two parties for the chairman and managing director positions of STDM. The Henry Fok Foundation is identified in the filing as a “Macau charitable foundation”. It is funded via assets previously owned by the late Henry Fok Ying Tung, a Hong Kong-based businessman. Mr Fok was one of the original business partners of Mr Ho when STDM was established in 1962. For four decades until 2002, STDM was the holder of a Macau casino monopoly. Last year, Daisy Ho Chiu Fung – a sister and business associate of Ms Pansy Ho – took over as chairman of SJM Holdings, as her father retired from the firm. At the same time, Angela Leong On Kei – fourth consort of Mr Ho and mother of his youngest children – was nominated as a co-chairman of the company along with fellow board member Timothy Fok Tsun Ting, while the chief executive, Ambrose So Shu Fai, became vice chairman. Mr Timothy Fok is a son of Mr Henry Fok. Commenting on the board reshuffle when it was first announced in April 2018, several investment analysts raised eyebrows. “Stanley Ho is retiring, but leaving more questions than answers behind,” said a memo from analyst DS Kim at JP Morgan Securities (Asia Pacific) Ltd. “Instead of using Stanley Ho’s retirement as an impetus to make governance and management changes, the company has opted to further entrench the status quo,” said brokerage Sanford C. Bernstein Ltd. In March 2011, it was widely reported that Mr Ho and family members had settled a highly-publicised two-month dispute over control of his interests. The row had included a statement issued in Mr Ho’s name suggesting that his second consort – mother of Ms Pansy and Ms Daisy Ho – had colluded with his third one to take over the holding company that controlled the bulk of his assets. They refuted the suggestions. Mr Ho has been mostly out of the public eye since reportedly suffering a fall at home in Hong Kong in 2009. The alliance between Ms Pansy Ho and the Henry Fok Foundation leaves out Ms Leong, having the potential to reduce her influence in SJM Holdings’ management. 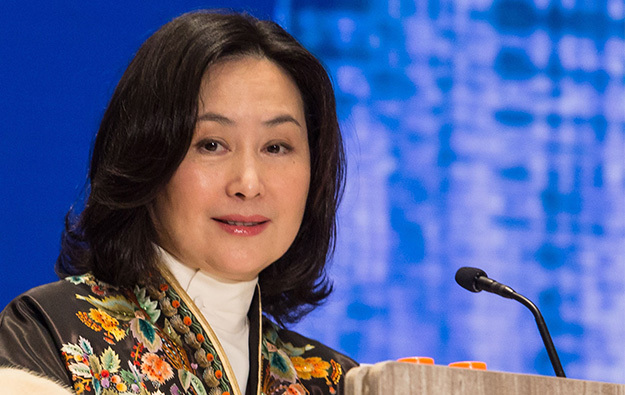 She controls around 8.62 percent of the firm according to the latter’s 2018 interim annual report, and is seen by several industry observers as leading a rival faction to that of Ms Pansy Ho inside the casino operator’s board. The company’s current Macau gaming concession expires in 2020. According to legal experts consulted by GGRAsia, the firm has under local law to issue a request to the city’s government if it wants an extension of its gaming concession before its contract ends in March next year. The agreement between Ms Pansy Ho and the Henry Fok Foundation also envisions “the implementation of best practices on corporate governance and legal and regulatory compliance across the STDM group; and the maintenance of STDM’s position as the owner of more than 50 percent of the total issued shares of SJM [Holdings],” stated Shun Tak’s filing.